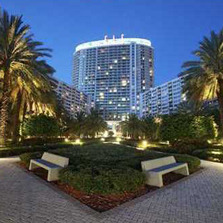 A 1-bedroom unit is available for sale in the Flamingo South Beach Condo. For a private showing and more information, please contact the licensed Florida brokerage CVR Realty™ at (305) 865-5859. The data relating to real estate for sale on this web site comes in part from the participating Associations of the Miami Multiple Listing Service. The MLS data provided for the property above is provided courtesy of Keller Williams Elite Properties. Information is deemed reliable but not guaranteed. CVR Realty™ is a traditional licensed Florida brokerage founded on the premise of experienced sales professionals and unheralded market intelligence. Condo Vultures® Realty is a licensed Florida brokerage that works exclusively to assist buyers in obtaining attractive deals in the tricounty South Florida region. Please note that we do not guarantee or warrant any of the offers posted in this section. We can promise that we will not permit any postings from companies or individuals that do not abide by all local, state, or federal laws. The data relating to real estate for sale on this web site comes in part from the participating Associations of the Miami Multiple Listing Service. The information being provided is for consumers' personal, non-commercial use and may not be used for any purpose other than to identify prospective properties consumers may be interested in purchasing. Information is deemed reliable but not guaranteed.